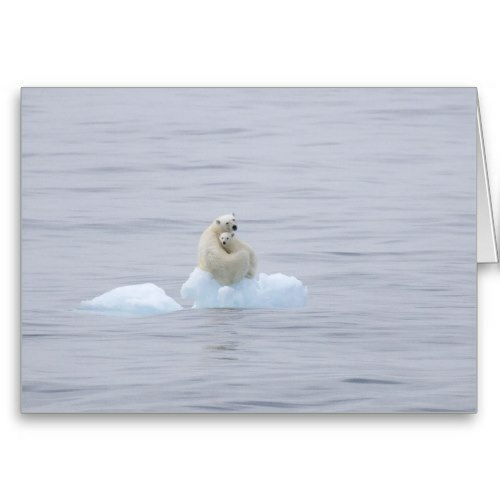 A beautiful, lovely wildlife photo of a mother polar bear hugging her cub, while they sit on a small, floating chunk of ice, in the Arctic Ocean. A wonderful National Geographic photo taken by Ira Meyer, and featured here on a custom greeting card. You may add your own text to the inside of the card when ordering. Makes a lovely card for moms, grandmothers, wife, for birthday, christmas, holidays, and mothers day.